Michael Lancaster began throwing pots in 1976. He was 21. He became swept up in the romantic lifestyle of being a NY/ New England potter and soon found himself wood firing and making functional wares. In 1980 after graduating Parson's School of Design, Harnack joined him as he finished his apprenticeship at The Red Rock Pottery. The two embarked on a seven year Journey making The Malden Bridge Pottery - a functional line of high fired stoneware, primarily thrown by Lancaster (Harnack made some hand built wares), and most were glazed and finished with delft blue on white folk style paintings by Harnack. 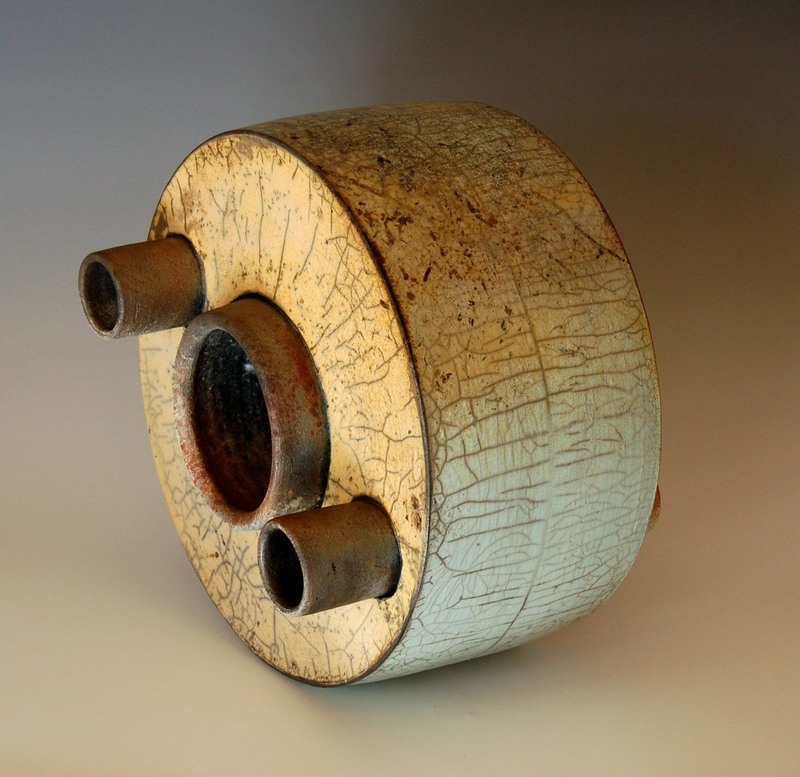 Years later Lancaster transformed his wheel thrown vessels to industrial inspired sculptures primarily fired in Raku.